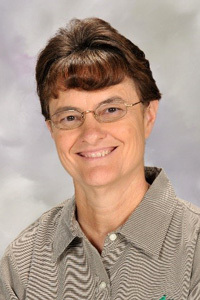 Becky Smith graduated from the Rawls College of Business in 1990. A son, a divorce and 30 years as a Lubbock native is what brought Becky Lynn Smith to Texas Tech University. 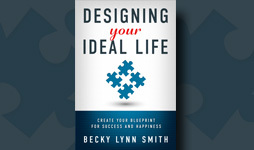 Through the next 27 years, her journey led her to earn a degree, become a systems analyst, a business coach and now author, releasing her book “Designing Your Ideal Life: Create Your Blueprint for Success and Happiness” in January. 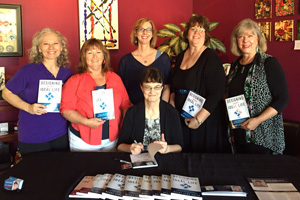 “Designing Your Ideal Life” started after Smith wrote a chapter in a book called “Share Your Message with the World.” At the release party for the book, Dennis Welch, Smith's book publicist and long-time friend, pulled her aside and asked when Smith would come out with her own book. The next thing he knew, he had a phone call from Smith, who had written the “Designing Your Ideal Life” manuscript. 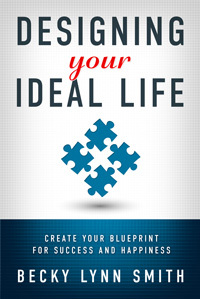 In the book, Smith discusses finding the one thing someone was meant to do with their life. She focuses on what makes a person happy while still taking into account real-life problems, including finances. A companion workbook also is available to help readers discover what they are meant to do and how to achieve it. In addition, Smith plans to host workshops with more hands-on training. Smith started at Texas Tech in January 1988 as a nontraditional student. She majored in management information systems and graduated from the Rawls College of Business in December 1990, completing her coursework in three years and finishing at the top of her class, all while working and taking care of her son. After Smith left Texas Tech, she became a systems analyst for Exxon in Houston, where she worked for eight years. During that time she also received her MBA from the University of Houston in 1998. Smith worked her way from systems analyst to project manager to IT executive while working at various companies, including Amoco and AIM Investments. She also became a business coach for two years before taking another full-time job, starting her doctoral degree and becoming a published author. Welch and Smith met as a result of the University of Houston's MBA program in 1995. They formed a study team to help each other get through their three-year program and have remained in touch since they graduated in 1998. Welch said Smith is humble, down to earth and credited her as the smartest person he's ever met. When Smith graduated with her MBA in 1998 he felt there was no telling what she would accomplish. Smith said she was a closet entrepreneur for years while she dabbled in activities on a part-time basis. She credits her business background with her ability to connect with corporate types as well as business owners by speaking their language and understanding where different people are coming from. She didn't set out to become a writer, though she thinks being a writer is what she should be doing. Smith said she can reach more people through writing than she can through speaking or being a business coach. Smith never recognized writing as a talent, since it always came easier for her – she even tested out of her English courses in college. Smith said one of the things she learned from her journey was that self-awareness is the key to success and having an ideal life. It also means people must focus on their overall life, including health, finances and time management, not just a successful career, all of which Smith learned through her journey after graduating from Texas Tech. Smith now is working on her doctoral degree in leadership and organizational management from Grand Canyon University, which should be completed in early 2016. Her coursework already is finished and she just needs to complete her dissertation, which Smith said is the next book she would publish. She currently is a Huffington Post contributor and recently was interviewed for a story in Inc. Magazine. What is your favorite memory at Texas Tech? What is your favorite thing about being a Red Raider? What is your favorite Texas Tech item that you own? What is your favorite Texas Tech memory?